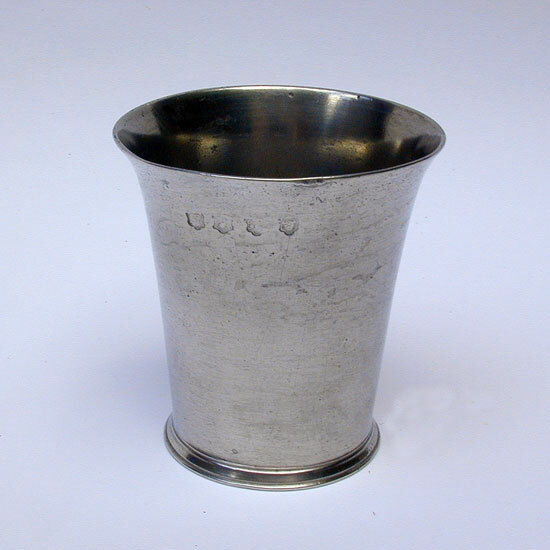 This 3 1/4" tall beaker is typical of the export beakers made by Ingram and Hunt. The firm was in business in Bewdley from 1788-1807. The firm produced many varieties of tankards, mugs and teapots for export as well as these beakers. 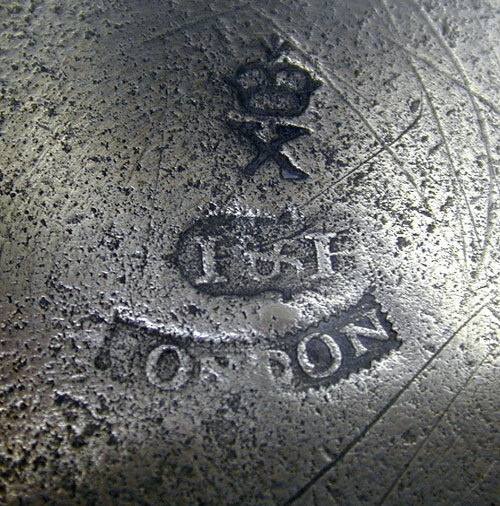 In fine condition marked on the outside of the body with hallmarks and on the inside bottom with their main touch and London.